It seems like technology is changing so fast, it is no sooner that you find out about one new technology and that not long after there is something newer. With that said, more people and business are seeking the services of IT Support Miami. 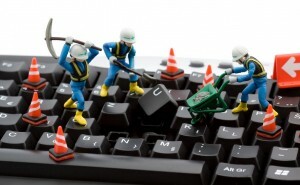 Fortunately, 123PCSolutions.com is Miami’s leading IT support professional that are constantly keeping up with the newest in technology. Most large companies have IT Support Miami departments that assist them with selecting technology and sustaining it, train their employees, offer desktop support and fix systems as needed. For small business owners, they may not even have an IT support department. So when needed, how do they take care of the technology within their company? In too most cases, the answer is probably not very well or handle it as best as they can when the time arrives. But, many of the small businesses can choose more successful techniques to their IT management, and there are very convincing good reasons why they really should. IT support solutions can make it possible for your business to grow so much faster, offer much better services to your customers and assist with everything else related. So for it to happen, you need to concentrate on making your business the greatest possible, and that implies you shouldn’t invest time dealing with your technology. That’s where we are available; our professionals can take care of your IT support so that you can concentrate on your business. • Loaner Services – If a server or workstation crash and no instant replacement is accessible, we will be able to provide a replacement unit for a specified period of time. • Server Restore – If a natural disaster were to happen, we will be able to restore your server back to its original state before the disaster. • Backup Recovery – Our backup solutions will provide managed backups, consistently guaranteeing that your data is always kept up-to-date and ready to be restored at any time. • Antivirus and Spyware Patch and Removal Service – We will be able to make sure your network security is up to where it should be and reduce any risks to critical information kept on your server. With IT Support Miami, you will be able to get quick results to any of your IT support issues. If something is wrong, don’t get stressed out! Our professional IT Support Miami is competent of getting your computer and systems functioning again! Just give one of our IT support professionals at 123 PC Solutions a call at (786) 422-0705 or visit us at: https://123pcsolutions.com. You will be so glad you did!